This issue’s cover illustration is from Children of Blood and Bone by Tomi Adeyemi. Thanks to Macmillan Children’s Books for their help with this March cover. By clicking here you can view, print or download the fully artworked Digital Edition of BfK 219 March 2018 . 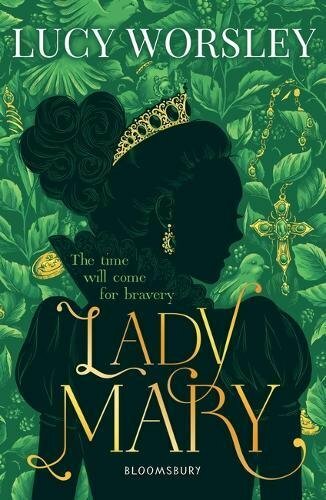 The very sad tale of the early years of Princess Mary are brought to life by Lucy Worsley in this story. Mary has been brought up by her mother, Catherine of Aragon, to remember her status in life and that she is a daughter of Spain, a blood-drinker. Being a princess is always going to be a fight to the death for Mary as her mother predicted. Henry VIII is already dallying with Anne Boleyn, and soon Mary and her mother are parted, never to meet again. When Anne becomes Queen immense pressure is put upon Mary to acknowledge Anne as Queen and that she herself is no longer a princess, but she resists, and gradually her own position becomes more and more desperate. Because she refuses to acknowledge her baby half- sister, Elizabeth she is punished, deprived of food and loses weight. Thomas Cromwell, uses her plight to try to get to her renounce her position, but she will not give in. It is only after her mother’s death, and that of Anne Boleyn, that she is returned to court and reunited with her father and his new wife Jane Seymour. All this is familiar for students of Tudor history, but Lucy Worsley portrays a girl aware of her position, indoctrinated by her mother that she must fight and who carries that out, even at the cost to her health. It is a strong picture of a girl who is a pawn, and knows it, but who resists until she can no longer do so. The tragedy of Mary’s young life, dominated by Henry’s own power, makes a compelling read for girls of 12+. The language has been modified for 21st century readers, but the reader is transported to the early 16th century and lives with Mary as she tries to stay alive, but stay true to her principles. There is a particularly arresting cover which will add to its appeal.